It is really important to have a dog that is well trained because this will create a more rewarding and fulfilling experience for the both of you and since dogs seek the approval of their owner at all times this is the best way to teach them how to get it. Here are our basic dog training tips and things that you should know. The earlier you start training your dog the more efficient the work you do will prove to be and the ideal moments to start is when the puppy has three or four months because that is the time when they are most curious and open to new things. Don’t expect the training to work right away and have patience because this is a new experience for the pet and he might not understand from the first go how this process works. Try to practice the same routine for a long time until you are certain that it is well understood and only afterwards move to new elements. The extensive studies done in this field have proven that the best method of training is through positive reinforcement, and this means that instead of scolding your dog when he does something bad it is better to reward the behavior that you want him to learn. If you see all the wonderful tricks and tasks that a dog can do you might be anxious to jump over the first steps only to reach those amazing things that will awe your friends, but those are only optional. The most important thing is to reach the basics of toilet training and obedience so let us take a closer look on how you achieve this. If you have a pet living indoors most of the time then this is the first thing you have to take care of and it should be quite clear why this is the case. This can be really stressful and will work much better if you start with a young puppy but don’t expect to see results from day one. You should begin by confining the pup to a small area such as a single room or even a large crate, gradually expanding the zone as they grow used to the routine. You stay with the puppy at all times during this training and watch them to see when they need to go. You must take the puppy out every hour and if they understand that they have to pee outdoors only or at a special potty then make sure you reward their good behavior with treats and plenty of praise. They will quickly recognize the scent and will be more likely to do their business there in the future, but make sure you enforce this behavior sufficiently. A regular mealtime will make the toilet schedule more predictable for you and this will ease your work quite a bit, but it means that you have to give up the treats or other snacks between meals. 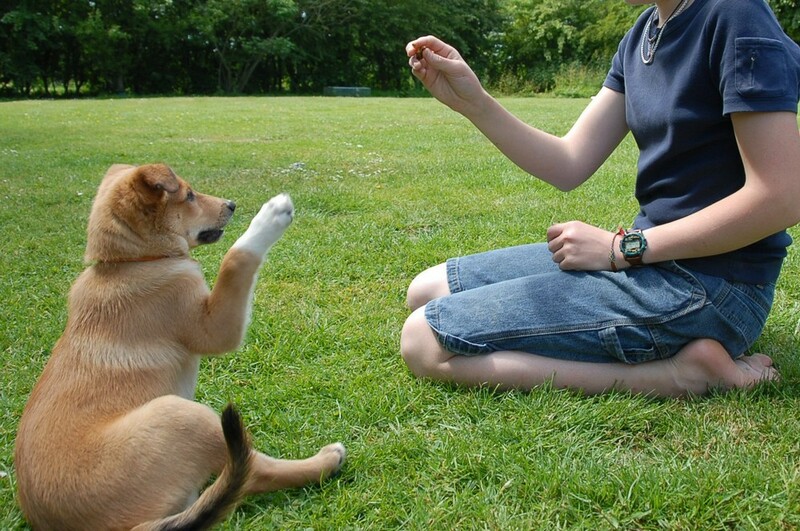 The basic dog training involves the commands that make your dog a pet which is easier to control and communicate with. 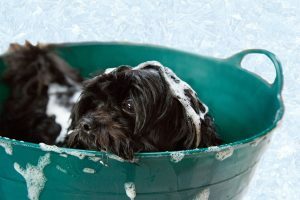 A disobedient dog can do a lot of damage and might even be a threat for those around him, so this training is something that everyone should do with their beloved pet. This kind of training can be pushed to quite amazing limits since dogs are so apt at learning and adapting to the needs of their owner, but the basic commands that every dog should know are to sit, drop, stay, heel and come. Teaching your dog to sit will allow you to keep him under control under any situation and this is the first thing you should reach any pet, aside from the toilet training that is even more important if you have him indoors. Drop tells your dog to drop anything that is in the dog’s mouth and it is something that can save him from harm (in case he sinks his teeth into something dangerous or toxic). Once he learns this command you will be able to play games such as catch or tug of war with him so this is a great way to enhance the connection between the two of you. Stay is a command with which your dog can remain unsupervised at certain moments, heel will teach him to stay close to you when you walk without needing a lead or a leash to keep him in check and finally with the come command you call the pet to you. 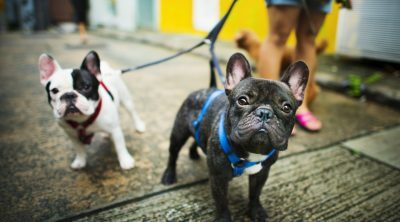 The come command is something that your dog should learn as soon as you know he recognizes his name and this is very important to know before taking your dog in crowded places or public areas such as parks.